Do you want to annotate genes and transcripts of your favourite genome? Will you be in Cambridge (UK) for the Genome Informatics 2014 meeting? Have you worked with the Unix command line? If your answer is yes to any of the above, you may want to attend our ‘Introduction to Ensembl automatic gene annotation’ workshop on 19-20th of September 2014. Registration is free, but participants need to cover their own accommodation, sustenance and transport expenses. THIS COURSE IS NOW FULL. Registration is closed. Dan and Fergal from the Ensembl Genebuild team will show how to create your own core database for genome annotation, load a genome assembly and run some of the analyses using the Ensembl genebuild system. Unix (or Linux) knowledge is mandatory. Participants are also expected to have some knowledge of relational databases (e.g. MySQL) and object-oriented programming (the Ensembl API uses Perl). 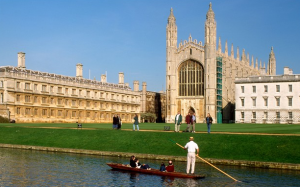 Our Ensembl Gene Annotation workshop will precede this year’s Genome Informatics conference taking place in Cambridge (UK) on 21-24th September. Please click here for more details on Genome Informatics 2014, including deadlines and programme. Previous Previous post: Pre! site for the new human assembly (GRCh38) is live!